You may think that the only way to cut hot water usage is to use less hot water, but there are other ways to save money and energy. Although heating and cooling the air in our homes takes up most of our home’s energy costs, second on the list is hot water heating. Most water heaters are automatically set to 140 degrees, which is often way too hot for most uses. Thousands of people go to the hospital every year from water water burns. Not only is it dangerous, but it is also inefficient to have the temperature set that high. 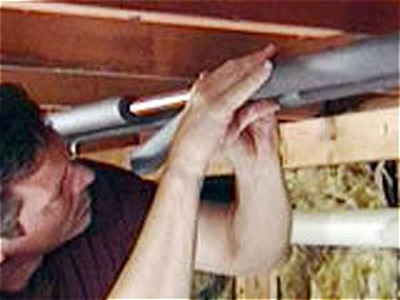 Most plumbers recommend a setting of 120 degrees, but you should experiment with the temperature to get it exactly where you want it; hot enough, but not too hot that it causes burns. 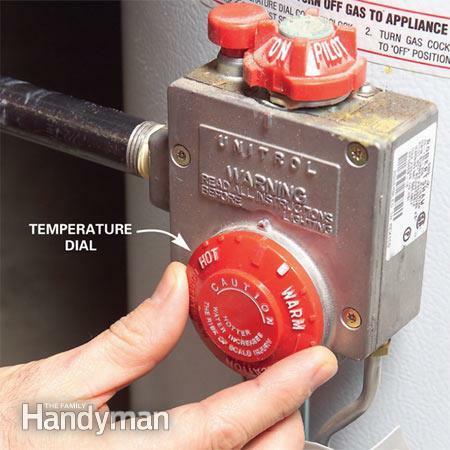 If your water heater does not have temperature numbers on the dial, you may have to do a little testing. First, test the temperature of your hot water by filling a glass with hot water and measuring it with a thermometer. Keep adjusting the dial until you get a glass filled with 120 degree water. 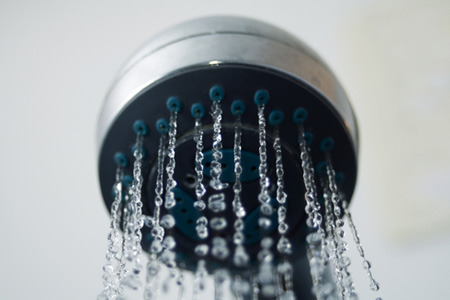 You can always save water and money by simply using less water, especially hot water, but you can continue to spend the same amount of time in the shower and still save on hot water costs by installing low-flow fixtures. It is cheap to replace your fixtures with low-flow options and can reduce your hot water consumption anywhere from 25-60%! Don’t worry about performance, because while low-flow fixtures can reduce the rate of flow by 50% or more, you still feel as though you are getting the same amount of water as before. Contact Larry & Sons for more information on low–flow faucets, fixtures, and toilets. A lot of heat is lost through your pipes. Insulating your hot water pipes save you money on costly heat loss, but while you’re at it, you might as well insulate those cold water pipes to prevent dripping condensation. Although there are several types of insulation to choose from, we recommend Tubular Sleeve Insulation. If your pipes require more than one sleeve, make sure that you duct tape the seams that connect the two sleeves. For more ways to save on your water heating bill, read energy.gov’s 15 Ways to Save On Your Water Heating Bill. 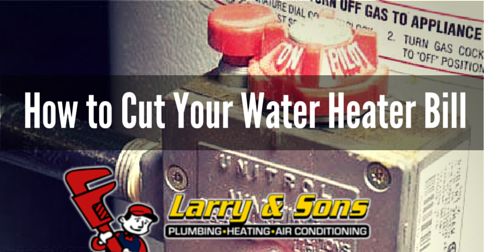 If you need help changing your hot water heater setting, insulating your plumbing, or installing low-flow fixtures in Maryland, give Larry & Sons a call at 301-733-5428. If you haven’t already, don’t forget to schedule your annual heating tune-up. We offer installation, maintenance and repair of boilers, furnaces, heat pumps, and geothermal systems. With our maintenance plan, we’ll remind you of your annual tune-up, provide 15 % off all repairs, and much more!